That would have seen the taps run dry and people across Cape Town queuing for water, while the beleaguered wine trade would have suffered further pain. The drought had contributed to the most challenging harvest in South Africa’s history, with yields down 15%, and the industry looked to be in serious trouble. But the people of the Western Cape are now ecstatic as dam levels have just surged past the 75% mark. Capetonians have reduced their water consumption to record lows – hand sanitisers have replaced taps in most bathrooms, while the “if it’s yellow, let it mellow” mantra has taken off – and the heavens have finally opened somewhat to bestow glorious rain on the region. Yet, regardless of how full the dams become, the ethos of conserving water is now firmly ingrained in the people of South Africa, as sustainability has become a buzzword. It is also the chief preoccupation of the country’s wine trade at present. “We are not the biggest in terms of litres exported, and we are the lowest in terms of the euros per litre that we sell our wine for, and this is the single biggest challenge that we face in terms of the sustainability of our industry,” says Carina Gous, chair of Wines of South Africa. 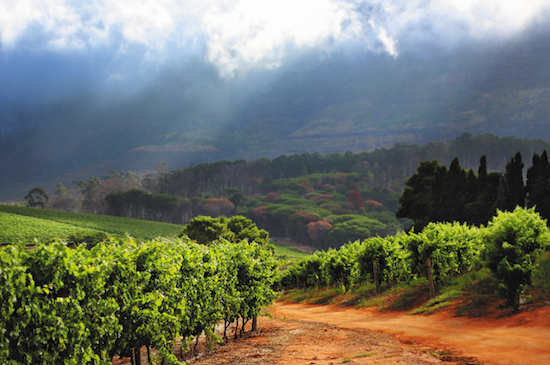 Profitability remains a huge challenge for South Africa, as a quarter of primary grape growers have grubbed up their vineyards in the past decade in order to grow more lucrative crops. That has led to a huge decline in the area under vine, and the trade needs to figure out how to demand a higher price for its wines in order to pass more money down the supply chain to the growers. The dream for the South African wine industry is to preserve its ecosystems and its natural wonders, respect the land as a source of its income, protect the environment for future generations and honour the dignity of its people by creating opportunities for them. Gous makes an impassioned plea to the global wine industry. “My plea to the trade is to help us build a sustainable industry and help South Africa achieve a higher export price position,” she says. “Unless we can get that right, we cannot ensure a sustainable industry, we cannot look after our communities and we cannot go forward and sustain a South African wine business. We are really working hard at penetrating more the high end of the market and doing a big job in higher distribution channels such as the on-trade and specialist retail, as we know that needs attention. Andrew Milne, chief executive at Stellenbosch producer Spier, talks about sustainability more in environmental terms. “Our planet is in trouble, and that means our industry is at risk in our lifetimes,” he says. “Renewable resources are being used 1.7 times faster than they can regenerate. At the current rate of consumption of natural resources on our planet, we need 1.7 times more of them. That’s not sustainable. Yet it is harder to focus on sustainability if you are not securing a decent price for your crops. Of course, price-to-quality ratio comes first for UK buyers and – with the rand in a weak position – South Africa really delivers on this front. Rollo Gabb, owner of Journey’s End winery, heads up collective body Premium Independent Wineries of South Africa, which takes its winemakers across the world to demonstrate the quality of the country’s offerings. “We just had an event where 120 sommeliers tried 25 wines, and five were very good wines from France, very good vintages, all from highly regarded producers,” he says. “The rest were from South Africa. The aim of the game was to identify the five French wines, and if you did you won a week in Burgundy. Unfortunately, out of 120 entrants no one did. It takes our total to 575 entrants, across eight countries, including the UK, China, Singapore, Hong Kong, Tokyo and Canada, and only one person has ever achieved that. Coupled with some of the scores coming out of items like the Tim Atkin South Africa Report, with Neal Martin, this surely demonstrates that South Africa has a very comfortable seat at the top table of the international circuit. Atkin gave his first ever 100 points to a New World wine last month to honour the quality of the 2015 Kanonkop Paul Sauer, while he gave 99 points to two South African whites – Alheit Vineyards Magnetic North 2017 and Sadie Family T Voetpad 2017. “I don’t give very high scores lightly, but these three stunning, world-class wines have earned it,” he says. “The severe, three-year drought reduced yields severely in some regions, but didn’t affect the quality of the wines, especially of the 2015 reds and the 2017 whites.” But he insists the price of Cape wines remains still too low for the long-term health of the industry. “Growers and producers have to be able to make a living,” he says. South African MW Greg Sherwood, buyer for Handford Wines in London, believes a lack of demand for premium wines in the domestic market is holding it back. “The problem with South Africa’s premium wine offering is not their quality and certainly not their styles, but more the fact that the wines are more appreciated overseas than they are in the local home market,” he says. “South Africa’s finest crown jewels are all being exported because the local market, unlike Australia, US or New Zealand, is not comfortable paying the prices that these fine wines inevitably will need to sell for. Locals shy away from buying wines over R250 [£12.99] a bottle, let alone R16,000 a bottle. The result is a two-speed market, where all the best offerings are exported to an appreciative, thirsty European audience while the home market scrapes the barrel like a fishy bottom feeder in a muddy pond trying to find the last undiscovered bargains. Some UK buyers are all for helping South Africa create a sustainable industry and allowing it to look after its communities and protect its natural environment. Simon Cairns, BWS trading manager at The Co-op, the world’s largest Fairtrade wine retailer, says: “The first question is: ‘Is it a good bottle of wine?’ Next is: ‘Is it a fair price?’ The third on that decision tree is Fairtrade: ‘Do I feel good as a consumer, because I know that the producer has been paid a fair price for that crop they have grown, I know that the community has benefited from that product being purchased in a Fairtrade way?’ That is how we should operate as a retailer. “Theoretically if farmers are getting a fair price for the grapes they have produced and the community is benefiting from better facilities, at some point we should start to see an improvement in the crop, which results in a better wine. It’s a very long-term way of looking at things, but we are quite fortunate at the Co-op that we can look at long-term plans, and there is a virtuous circle there, which means everyone gets to benefit.